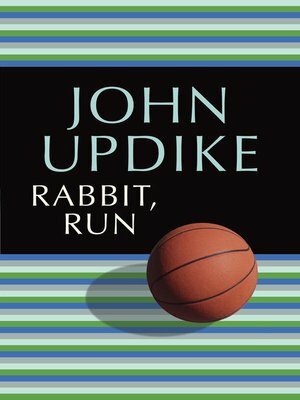 Rabbit, Run is the book that established John Updike as one of the major American novelists of his--or any other--generation. Its hero is Harry "Rabbit" Angstrom, a onetime high-school basketball star who on an impulse deserts his wife and son. He is twenty-six years old, a man-child caught in a struggle between instinct and thought, self and society, sexual gratification and family duty--even, in a sense, human hard-heartedness and divine Grace. Though his flight from home traces a zigzag of evasion, he holds to the faith that he is on the right path, an invisible line toward his own salvation as straight as a ruler's edge.